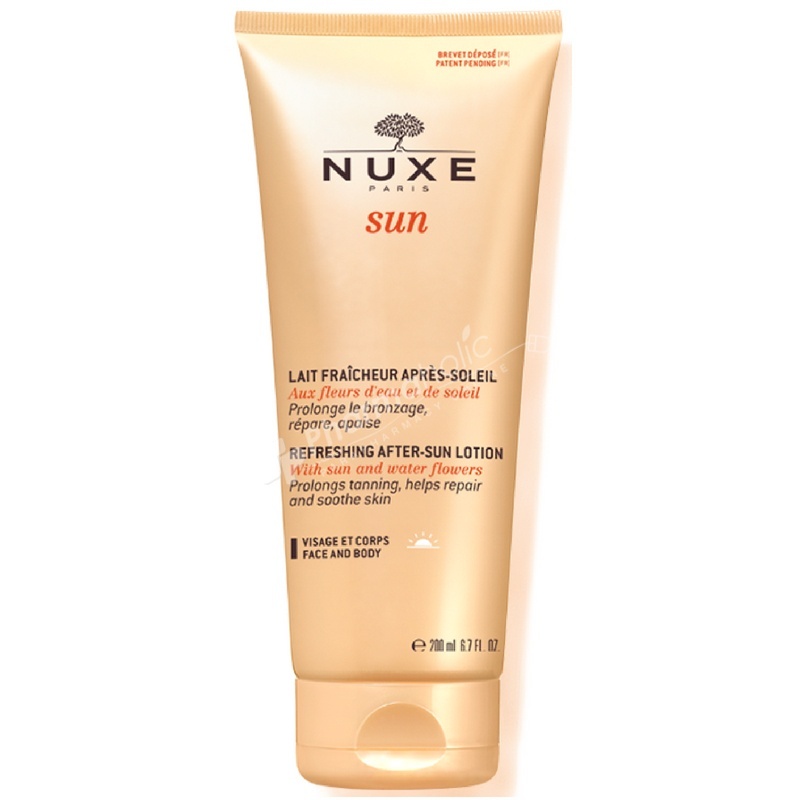 NUXE SUN Refreshing After-Sun Lotion's sorbet texture instantly melts into the skin and provides an immediate comforting and soothing feeling. It immediately restores the balance of the skin, repairs it and provides it with great suppleness. NUXE SUN Refreshing After-Sun Lotion for Face and Body moisturises the skin and prolongs tanning by 2 weeks (natural Carob Powder) for a 100% glamorous tan. Helping to leave your sun exposed skin soft, silky and perfectly moisturised, this satin-soothing lotion also leaves a summery fragrance on the skin whilst helping to repair it with a gentle, paraben-free formula. Apply onto the face and body after showering following sun exposure.